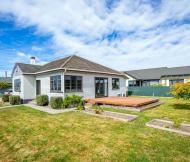 Simon with his family have made Waimate their home having recently purchased their little piece of paradise, a lifestyle property, just south of the township. Why Waimate? 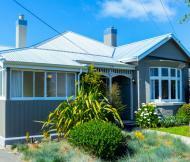 Like a lot of potential purchasers in the current market Simon was looking to bring up his young family in the rural heart of New Zealand and in an area with a true community spirit. Whether it be driving his vintage Landrover, standing on the side-lines cheering on the local sports team or taking advantage of the great outdoors Simon is proud to call Waimate home. With a background in both the Sales and Media markets Simon has a true sense of exceptional customer service, he brings top negotiating skills, and is result driven. Simon provides you with the expertise to help you through the buying or selling process. Simons ethos is simple – To make your real estate journey stress free and easy by providing you with a professional service, where communication and transparency is key.